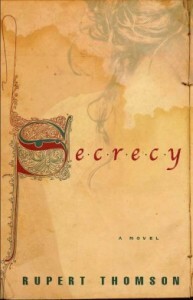 Genre-jumping author Rupert Thomson joins the show to talk about his new novel, Secrecy (Other Press). Along the way, we talk about the arbitrariness of “historical fiction,” the perils of researcher’s block (as opposed to writer’s block), what he learned from a 90-minute audience with James Salter, discovering archaic Italian curses, letting one’s art follow one’s unconscious, the joys of visiting the graves and/or homes of his literary idols, why finding the psychological truth of a story is more important than the details and background, and why it always helps to know a good histopathologist. Go listen!